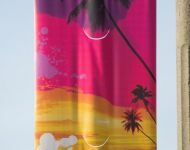 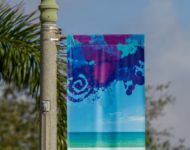 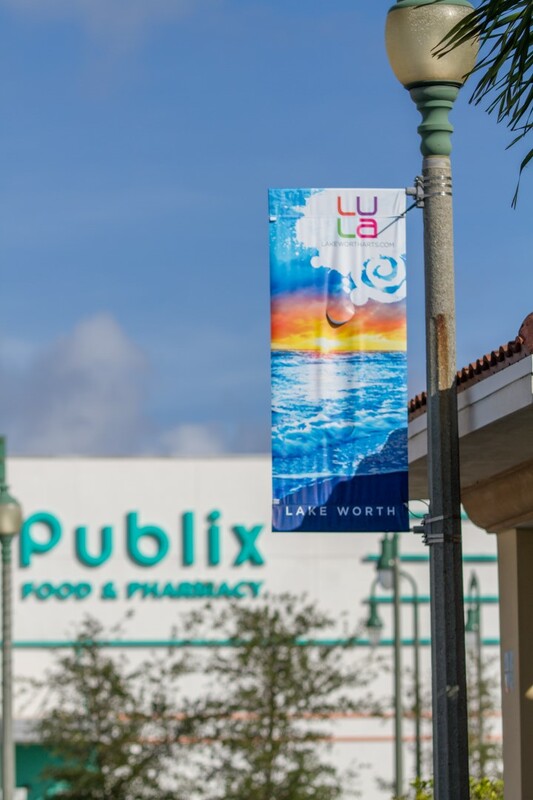 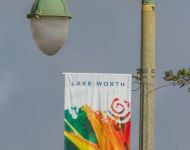 LULA Lake Worth Arts, in coordination with the CRA, is the sole agency responsible for placing street banners on a majority of our thoroughfares. 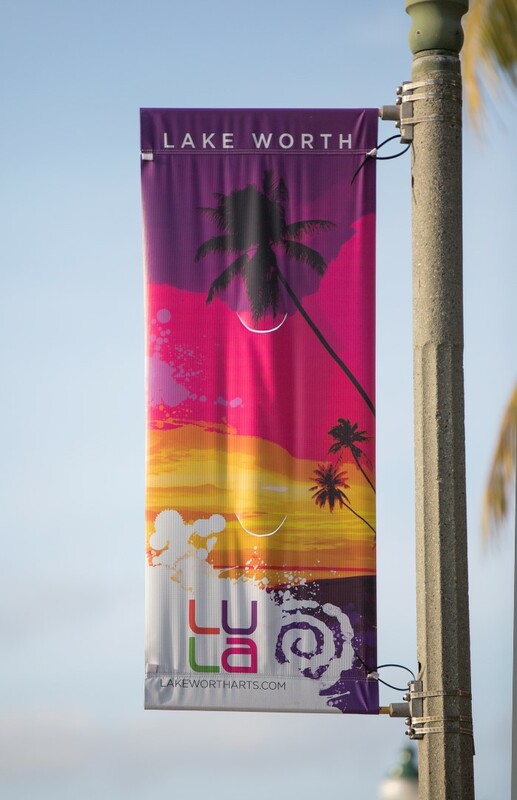 LULA created the Street Banner Program to prominently welcome our visitors, celebrate special events/holidays and to be used as a means of wayfinding. 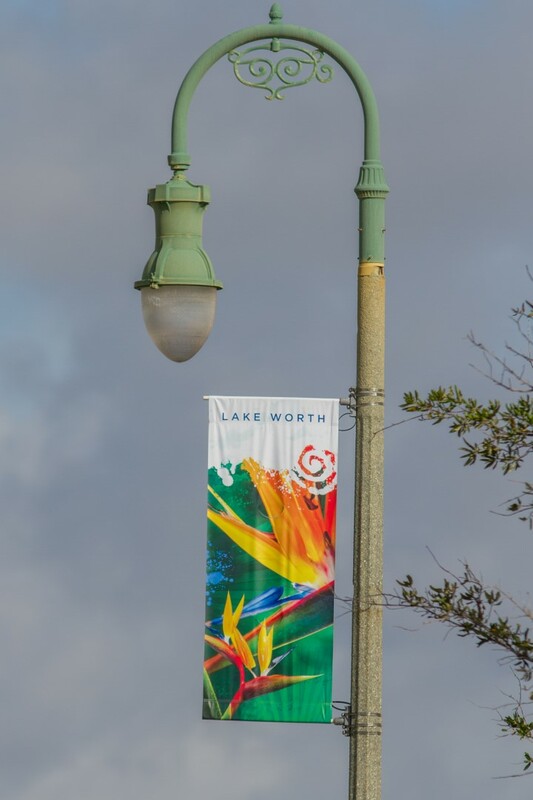 These banners are located along the City’s Gateways (6th Avenue South & 10th Avenue North) and Dixie Highway from 7th Avenue South to 11th Avenue North. 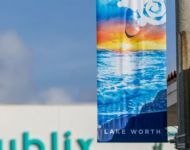 LULA is currently in talks with the City to eventually install decorative street banners along Lake & Lucene Avenues west of Dixie Highway. 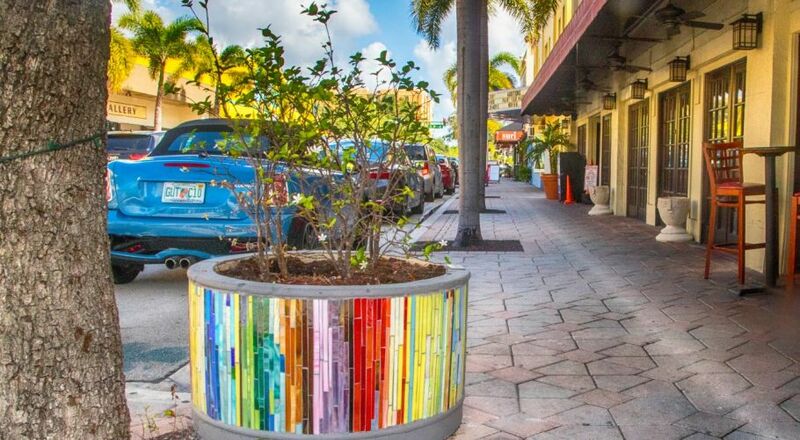 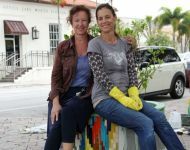 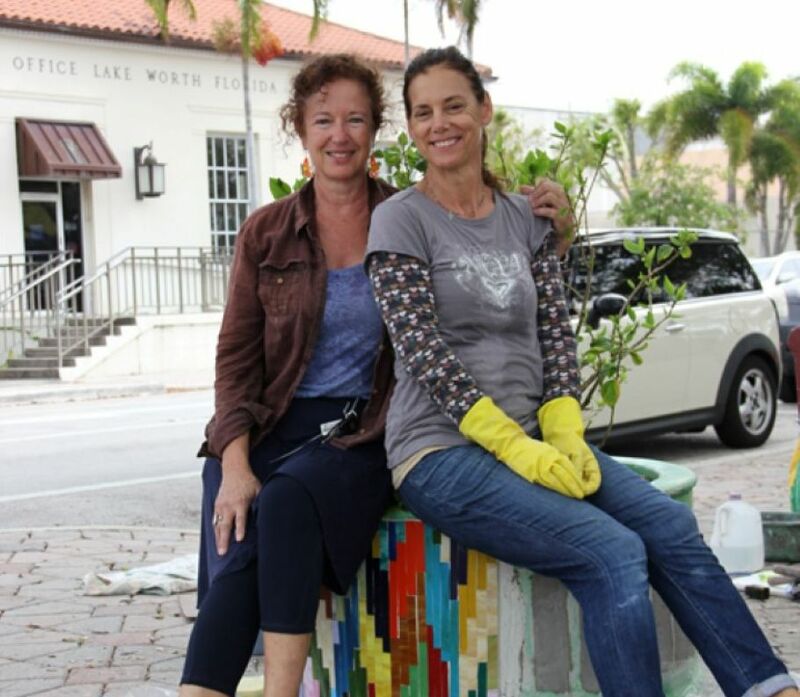 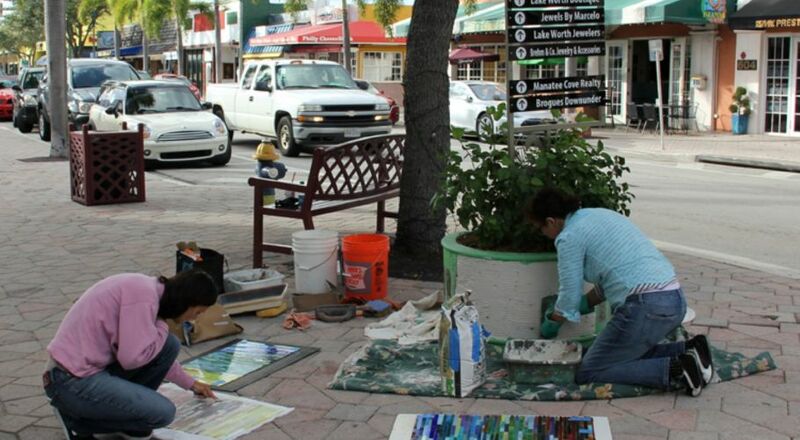 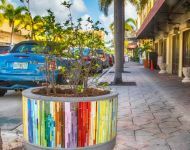 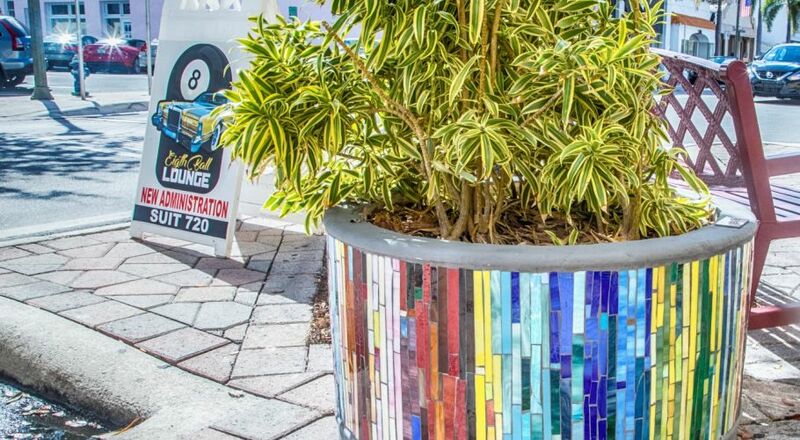 Artists Kim Rizio and Isabel Gouveia of Lake Worth are the creative geniuses that have spearheaded this multiyear planter beautification project. 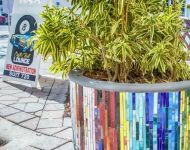 Several of the downtown planters have been covered in hand cut glass to make each one a unique work of art. 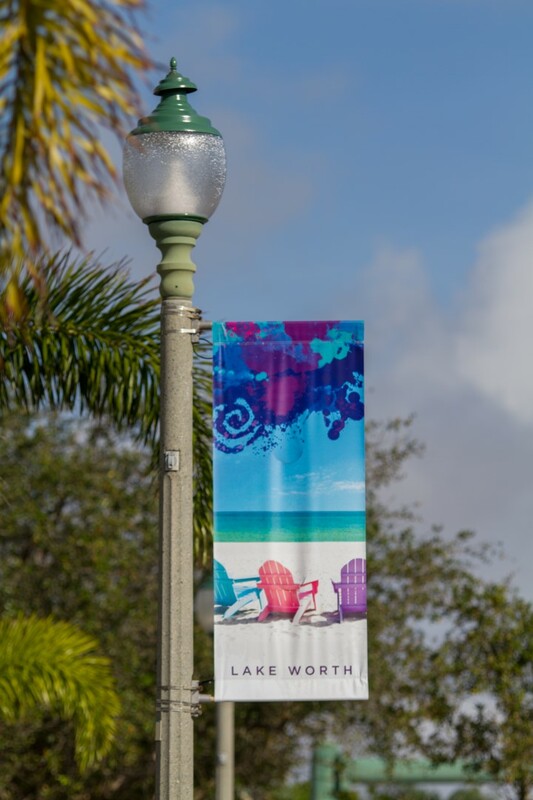 We welcome you to come and see them. 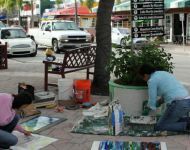 If you are interested in contacting the artists directly please see below. 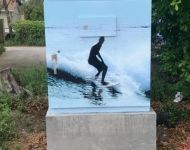 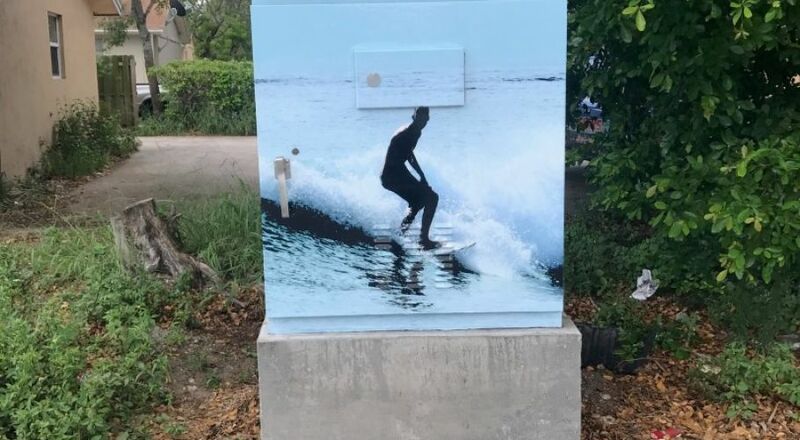 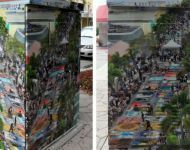 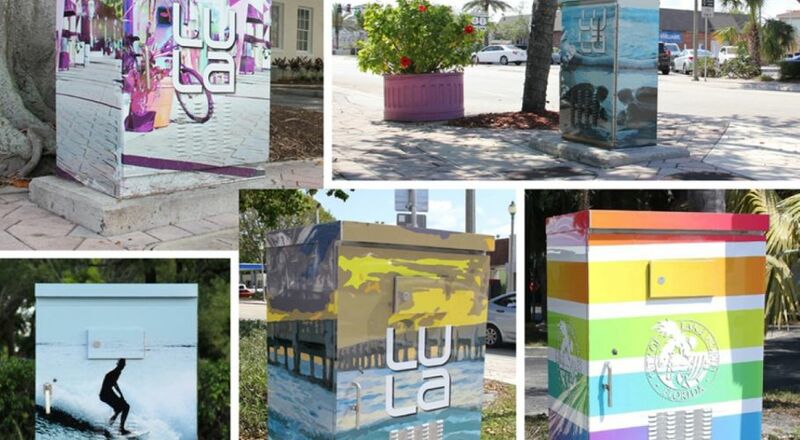 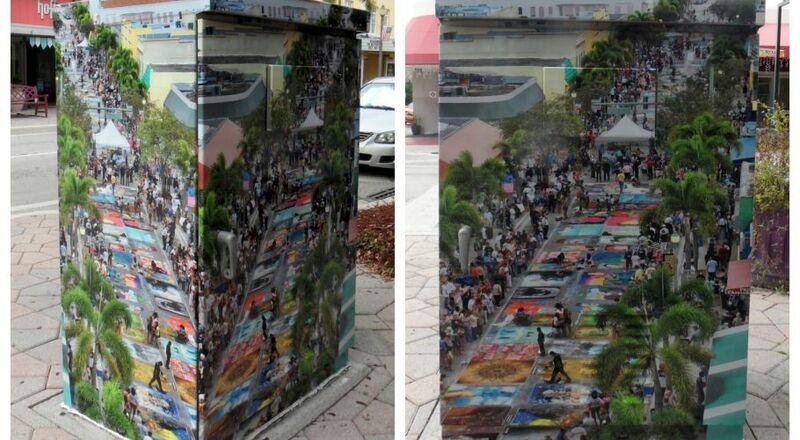 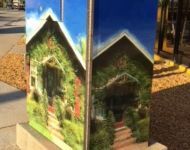 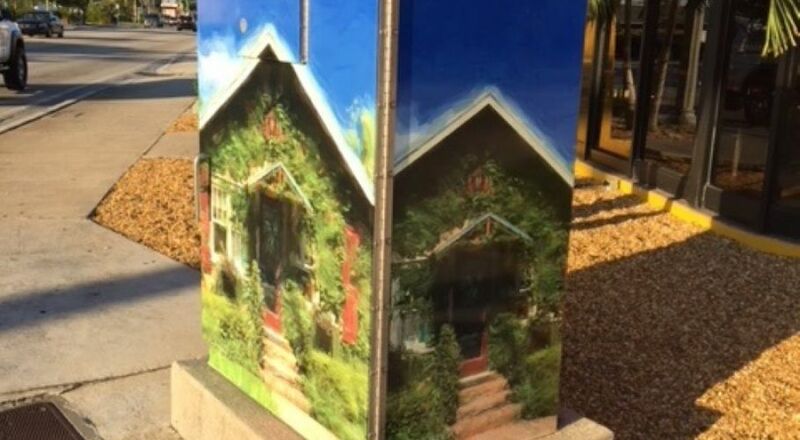 Lake Worth Arts has wrapped several traffic control boxes along Dixie Highway, the Gateways and throughout Downtown. 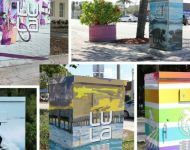 This upcoming fiscal year, funds have been allocated to wrap additional boxes within the CRA district.